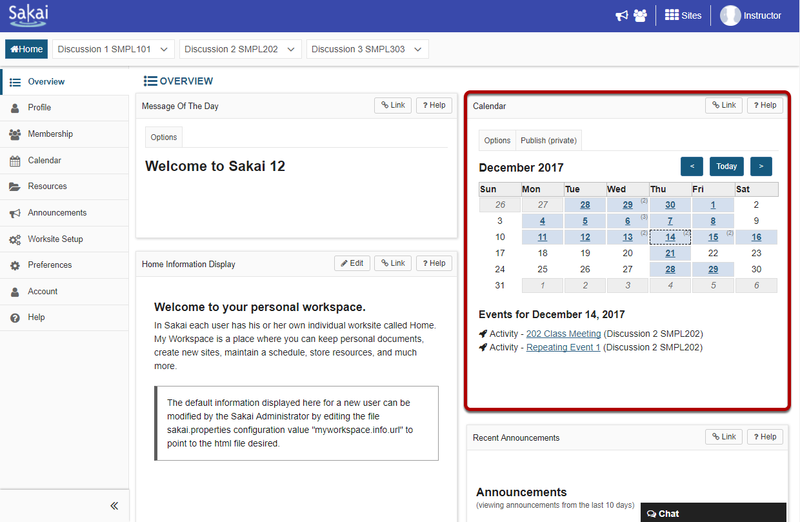 Sakai Guides and DocumentationSakai Basics HomeWhat is the Home Calendar? 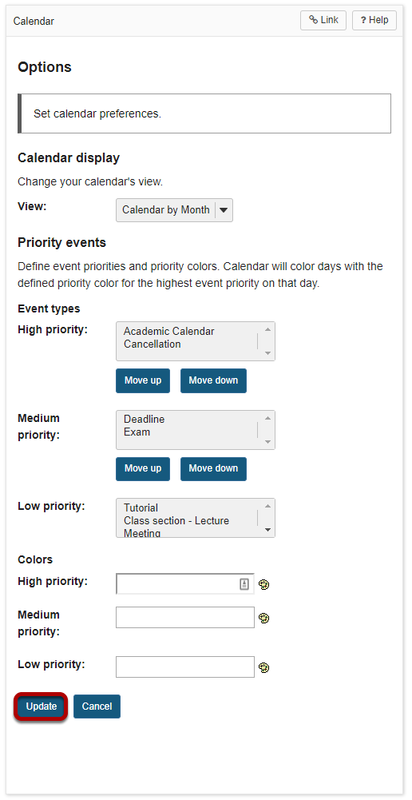 The Home Calendar shows all events from all of the sites in which you are enrolled. 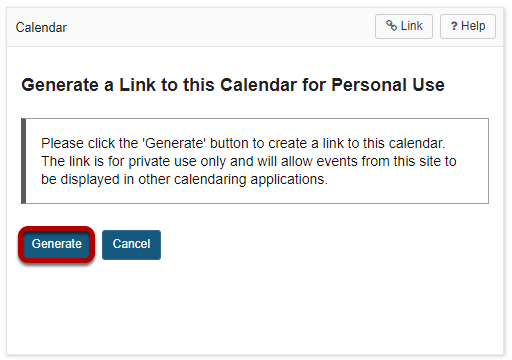 In addition, you may also create individual, private calendar entries that are only visible to you from your Home area. 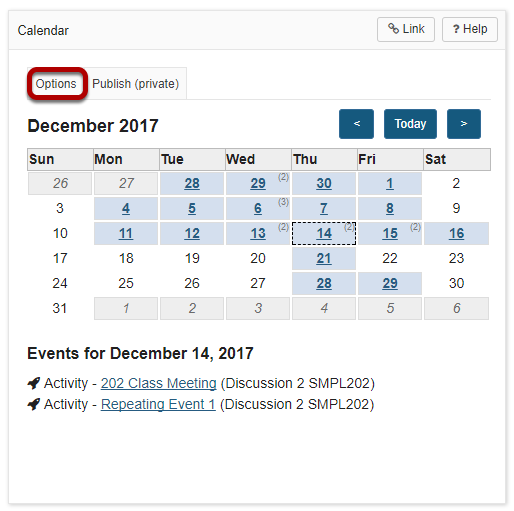 You may customize the appearance of your Calendar by selecting the Options button. Select custom preferences and Update. Subscribe to your Home Calendar from another application. 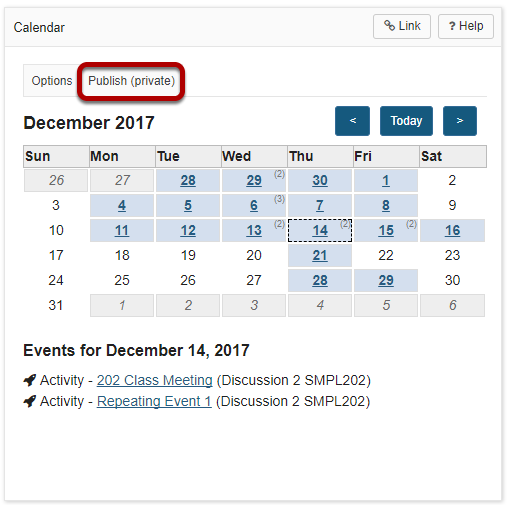 If you would like to subscribe to your Home Calendar from another calendaring application, such as Outlook or Google Calendar, click the Publish (Private) button to generate a URL that can be used to set up your subscription. 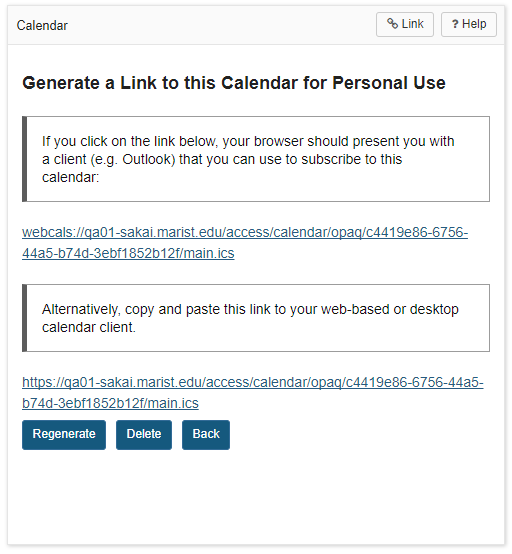 Copy the URL and use it in your desired calendar client. Prev: What is the Home Message of the Day? Next: What is the Home Information Display?